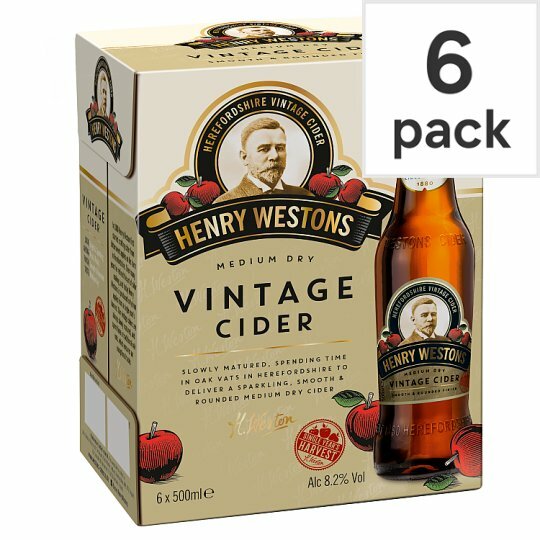 In 1880 Henry Weston first started crafting cider from the bittersweet apples grown on his farm in Much Marcle, Herefordshire. Over many years he refined the art of Herefordshire cider making. Today, Henry Westons Vintage Cider is produced only from apples grown in a single year's harvest in the three counties of Herefordshire, Gloucestershire & Worcestershire.